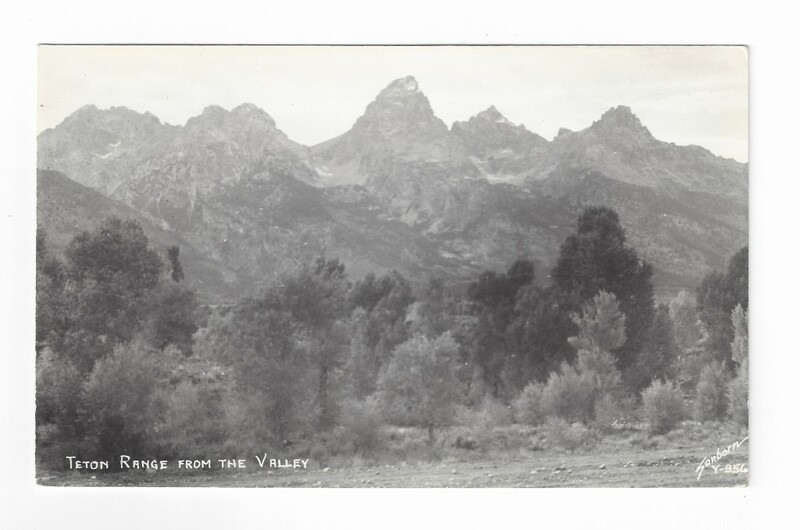 Wonderful Real Photo Postcard with a view of the Teton Range. Unused, and in very good condition. 3 3/8" x 5.5". By Sanborn. This would be great framed, by itself or with some of the other photo postcards on our site.